Hello Friends, Do you want to apply for JK Police Recruitment 2019? If yes then here is a very good opportunity for you. Jammu and Kashmir Police department are inviting applications for 2700 Constable & Female Constable Post. Interested & eligible candidates must fill the application form through online mode. Online registrations for JK Police Constable Jobs had started from 09.03.2019. Participants must submit their online forms till the last date i.e. 08.04.2019. For more details regarding selection criteria, application fee, candidates must read the given article carefully. Fresh Update as on 25.03.2019: JK Police Recruitment 2019 is available for 2700 constable & Female Constable Posts. Candidates should check here eligibility criteria before apply for Jammu & Kashmir Police Jobs. Here we provided you direct links to apply for JK Police Vacancy 2019. Fresh Update as on 20.03.2019: Jammu & Kashmir Police has released notification for 2700 Constable & Female Constable Vacancies. Interested candidates may apply online for JK Police Recruitment 2019 before the last date. Candidates should check here eligibility criteria details for JK Police Jobs 2019 from this article. Education Qualification 10th pass from any recognized board. Maximum age: 28 years as on 01.01.2018. Maximum: 20200/- with grade pay of Rs. 1900/-. 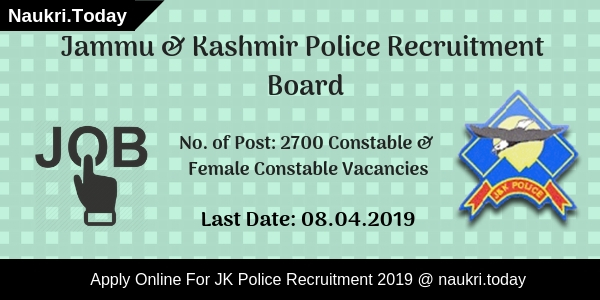 What Are The Physical Standards For JK Police Recruitment 2019? Conclusion: JK Police Recruitment 2019 is available here for 2700 Constable & Female Constable Posts. Participants must submit online forms for JK Police Constable Vacancy 2019 till 8th April 2019. For detailed information of Jammu & Kashmir Police Jobs, applicants can read the article or they can also download official notification from the link given here. Are you searching jobs in Jammu & Kashmir Police Department ? Recently, Jammu & Kashmir Police released advertisement for 158 Constable & Follower Vacancies. Willing candidates who are also eligible for JK Police Recruitment 2018 may apply through online mode. The starting date of online registration is 05.06.2018. Candidates can fill JK Police Online Forms before the last date 16.07.2018. You can fill your Jammu & Kashmir Constable Vacancy form either here or official site. More information read this article carefully. Jammu & Kashmir Police Department is inviting online application for 100 Constable and 58 Follower Vacancy. Aspirants who are interested for JK Police Constable Job can apply here as well as official site. Candidates those are interested for Jammu & Kashmir Follower Recruitment 2018 also apply through online mode. Furthermore, details like eligibility criteria, application fess, selection procedure and how to apply mention below. Aspirants who are interested must check that they fulfill or not eligibility conditions. In below section, check education qualification, age limit and physical standards to check your eligibility. The details are as under. Candidates who are going to apply for JK Police Recruitment 2018 must passed Matriculation examination or equivalent. The examination must be passed from any government board before the last date of submission application form. Furthermore details check Jammu & Kashmir Constable Vacancy Notification. As on 01.01.2018 applicants minimum age require 18 years. Participants who want to apply for JK Police Vacancy of Constable must not be more than 28 years. If you wish to apply for Jammu & Kashmir Follower Vacancy the maximum age should be 40 years. upper age relaxation is applicable as per govt. norms. SC/ST candidates get 05 years maximum relaxation for JK Police Constable Recruitment 2018. While OBC candidates will receive 03 years maximum relaxation. Applicants selection will be made according to their performance in PST, PET and Written Examination. First PST qualified candidates can attend PET. After that, both qualified candidates call for the written examination of JK Police Constable Jobs 2018. Further information mention below. The written test will consist objective multiple questions. There are total 100 questions of Matriculation level. The duration of examination will be 02 hours. And JK Police Jobs comprises questions of General Awareness, General Knowledge, elementary mathematics, analytical aptitude, and ability. Furthermore, check Jammu & Kashmir Police Syllabus 2018. Candidates who want to apply for JK Police Vacancy must require to pay application fees. Fess will be paid through online or Bank Challan form. If you are going to apply for JK Police Constable Bharti you need to pay Rs. 300/-. While for JK Police Follower Recruitment fees will be Rs. 200/-. Furthermore, information checks official notification. For JK Police Constable Jobs: Rs. 19900 /- to Rs. 63200/- according to level –2. Candidates who are interested and eligible also for Jammu & Kashmir Constable Job through online mode. Before going to apply for Constable & Follower vacancy must have valid email id & password. You also keep your scan copy of photograph and signature. JK Police Constable Recruitment online procedure is mention below. First of all, go to official site jkpolice.gov.in. Download JK Police Notification for Constable & Follower Vacancy. Read it carefully and then click on Apply Online for JK Police Jobs. Enter all required information in your JK Police Online Form. Then you get unique id & password. Registered once again and then fill other information like educational etc. Payment of application fees towards JK Police Recruitment 2018. Then submit it and take hard copy of it. Conclusion : JK Police Recruitment 2018 for 158 Follower & Constable Vacancy. Interested and eligible candidates can fill the online form very soon. The last date of online registration is 16.07.2018. So Apply online here or official site for JK Police Constable Recruitment 2018. Dear Candidates who are waiting for JK Police Sub Inspector jobs, then here is good news for JK Police Recruitment 2017. Jammu & Kashmir Police Department has released a JK Police notification for 698 Sub Inspector in Executive/Armed/Telecommunication Wings. 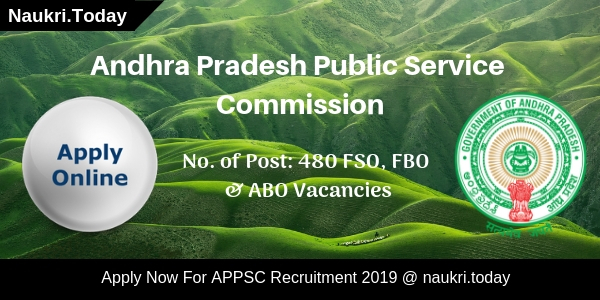 This is a great job opportunity for those candidates who are Searching for Jammu & Kashmir PSI Jobs. Interested Candidates can fill JK Police SI Vacancy form before the closing date. Last date for submission of online application form shall be 30 days after the starting date. The Jammu & Kashmir Police Recruitment Board is going to announce a JK Police SI Notification for Sub Inspector in Executive/Armed/Telecommunication Wings Vacancy. This is great opportunity for those candidates who are searching For JK Police Recruitment 2017. You can submit JK PSI Jobs Online application before the last date of online registration. Starting Date of Online Registration is 2nd week of January 2017. To get more information about Jammu Kashmir PSI Bharti 2017 like Education qualification, Age limit etc. you can check given below details. Candidates who are going to apply for JK Police Sub Inspector jobs should have done Graduation Degree in relevant Trade from recognized university. you can full qualification details from Jammu & Kashmir PSI Notification 2017. Applicants should have passess Graduation from a recognized University in Electronics & Communication Engineering OR Electronics & Telecommunication Engineering OR Electrical & Electronic Engineering streams for Telecommunication Wings. Minimum age limit of the candidates for JK Police Recruitment 2017 should be 18 years & Maximum age limit should be 28 years as on 01.01.2016 for JK Police Jobs 2017. Age Relaxation will be applicable up to 05 years for SC/ST Category & 03 years for OBC Category candidates. (Candidate will not born before 01st January 1988 & after 31st December, 1997). Application Fees Rs. 300/- The Application Fees Will Be Collected Through Debit Card, Credit card, Internet Banking Mode Only for Jammu Kashmir Police Bharti Vacancy. 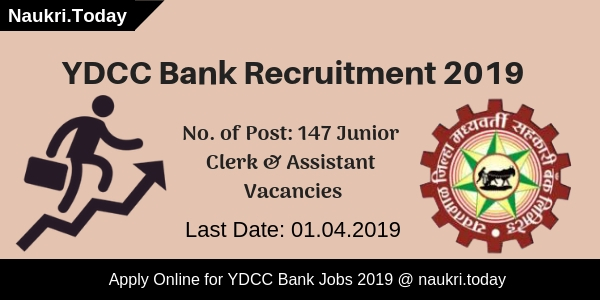 In case of non availability of online payment facility then candidate may use the option of depositing the application fee through Bank Challan. Candidates who are attending the JK Police Sub Inspector Exam 2017 will be getting Rs 9300/- to Rs 34,800/- with the grade pay of Rs 4240/-. Selected candidates will be paid pay band For JK Police SI Vacancy 2017 as per Jammu & Kashmir Police Recruitment Board. 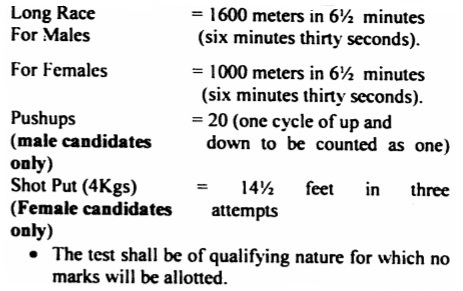 Candidate should be selection is to be done on the basis of best performance in Physical Efficiency Fitness Test, Online Written Test and documents verification & Personal Interview. Selection of candidates for Jammu Police Recruitment PET,PST and Written Exam will be organized. If you want to get qualify then pass the selection criteria of Sub Inspector Vacancy. Candidate3 who are Interested for this JK PSI jobs, then the are searching for Syllabus & Exam pattern. Applied candidate can click here for JK Police Sub Inspector Syllabus & Exam Pattern. First of all Candidate can visit JK Police official website jkpolice.gov.in. Go to Notification and open Recruitment notices. Click on the Advertisement of JK Police SI Recruitment 2017 link. Read the instructions, procedure and information carefully before you start filling the Application Form. Enter the complete required details correctly. Upload Scanned Images of Photograph, and Signature. Application fee may be submitted through online mode or e-challan. If any mistake then application form will be rejected. Before Submit Form check the application form carefully. print out The Application Form for future use. JK Police Recruitment 2017, Jammu Kashmir Police Department has announced the notification for 698 Sub Inspector in Executive/Armed/Telecommunication Wings Vacancy. Candidates who are eligible for the JK Police Bharti may submit the online application form on or before last date..